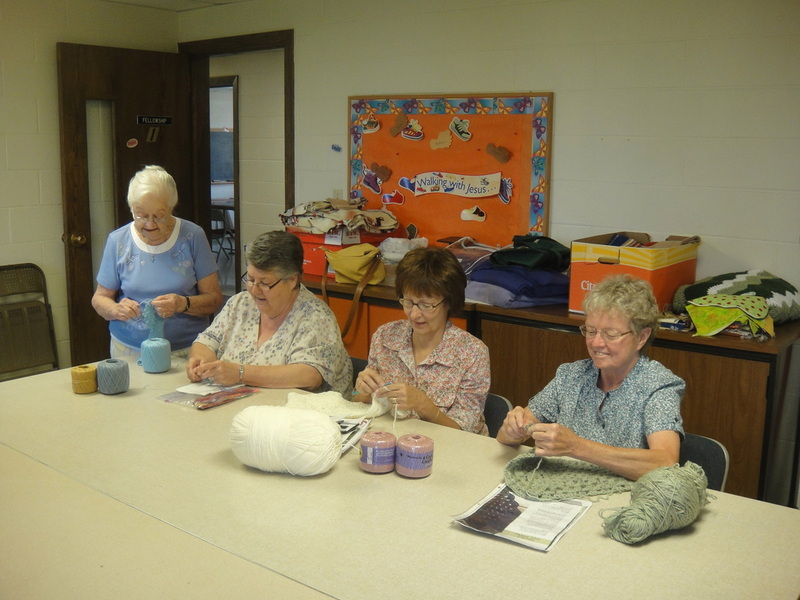 Sarah's Prayer Shawl Ministry meets weekly on Wednesday mornings to crochet prayer shawls and patches. These beautiful works of art are lovingly made and prayed for each week. Prior to distribution, the shawls are blessed during one of our Sunday morning worship services. 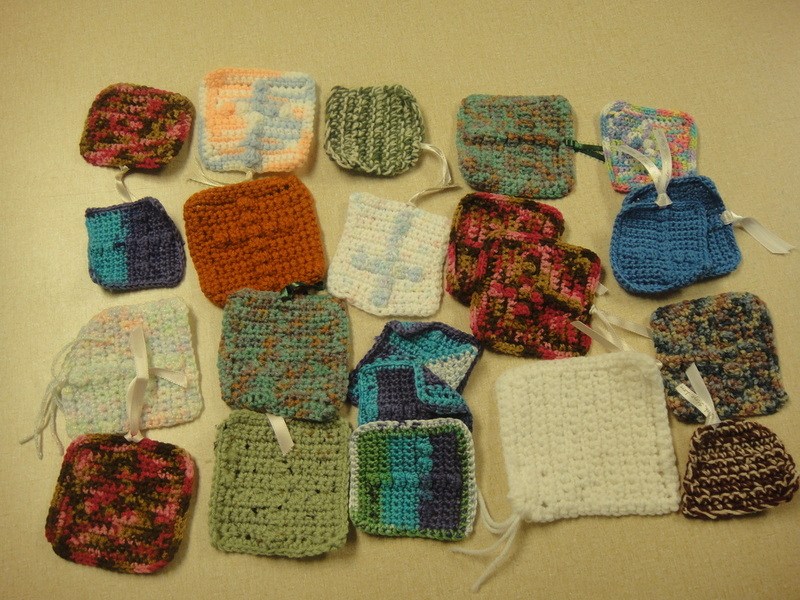 We give them away to people in the church who are hospitalized, shut-ins, nursing home residents, clients of the Hope Clinic, Coshocton Health and Family Services Hospice and Grief Counselors and many others. Some of the women who attend learned how to crochet by participating in the ministry. Not all who are involved are members of Emmanuel so all are welcome to join the group. One of our members is patient and willing to teach the novice; so no experience is necessary to participate in this ministry. They enjoy fellowship with one another as they work and bless others who are hurting and need comfort through this ministry.